How exciting is this? An ancestor with the sobriquet 'The Plunderer.' Not 'the good', or 'the great' or 'pious,' but a plunderer. He is a nice contrast to all those prickly puritans that pepper the lower branches of my family tree. (Did you catch that great alliteration?) Not only was he a bad dude but he was a VIP, a very important plunderer. That being said, here is what I know about Macey Bezill. You may know Macey Bezill better as Matthew de Besilles, he was french and his name in the earliest accounts was spelled Macey. He was most often called Mathias. His surname Bezill, is believed by some to a nickname meaning 'to plunder'. It is spelled multiple ways but only once is there a 'de' in front of it it is almost always Bezill. Matthew was born probably around the year 1200. How this Frenchman came to be in England is a complicated story but I will try to flesh it out for you. Henry III, son and heir of the notorious King John I of England was born in 1207. He inherited his father's throne at the tender age of nine in the midst of the first Baron's War. When John died Prince Louis of France controlled London and a large part of southern England. After John's death, the rebel baron's dropped their support of Louis and came over to young King Henry's side. When a medieval man did well, he tended to promote his friends and family, even if it meant importing them from his hometown. Peter des Roches filled English positions with his family and friends. This did not always sit well with the 'natives'. One of the families who the Baron's wished King John to expel was the Chanceaux family. Macey Bezell was related to this family. It seems likely that he was in England because of his or his families relationship with Peter des Roches. So, we can say that Macey was most likely originally from Touraine, his exact birthplace, year and the names of his parents are unknown. 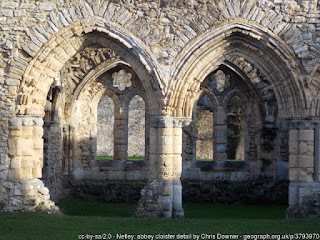 Mathias would later make Gomshall over to Netley Abbey. Peter des Roches was then the patron of the abbey for a while, the patronage was later taken over by King Henry. Mathias objective may have been less religious that at first seems. He may have been looking to impress either des Roches or the king or possibly both. By 1240 Hubert de Burgh was restored to favor and was given back his lands, including the manor of Westerhal that had been given to Mathias. However Mathias was compensated by the grant of the entire manor of Sherston including the advowson, the right to appoint the cleric to the parish. This was also land of the Normans, but the King in granting it to Mathias stated that if the heirs claimed it or peace was restored, Matthias would be compensated. They never did. In June of 1241 the King granted him the right to hold a weekly market on his manor of Sherston, which added to his income. Also in 1241 Mathias was awarded the custody of the land and heirs of Roger of Notton. He was also given their marriages. He later sold the right to their marriage to another man for 120 marks. A sign of Mathias' growing favor at court was his appointment by the King to be the Marshal of the Queen's household. The Queen was Eleanor of Provence. The King had married her in 1236. Mathias would eventually serve as steward, running her household. At that time in England, even as a land holder, you couldn't just hunt the animals on your land, you had to pay the King for the right. Or, he could grant you 'free warren' of your land. In December of 1247 Mathias and his heirs were granted free warren on the manor of Sherston. The following year the King granted Mathias the right to hold a yearly fair to be held on the day prior, of and after, the Feast of St. Cyrus. A few years later he was allowed to hold a yearly fair around the feast of St. Matthew which is on 21 September. In 1251 Mathias is assigned a very important post as constable of the castle at Gloucester. This castle no longer exists but in it's time was very important. It was used by the fist three Henry's as a royal residence during their reigns. It remained a property of the crown. In addition to the job as constable, Mathias got some fishing weirs and what sounds like a lot of beer to with his lampreys. 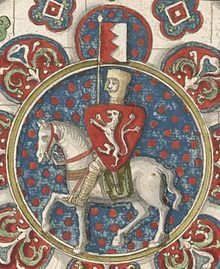 Meanwhile, over in Gascony, Simon de Montfort, the English governor, and brother in law of the king, had his hands full of rebellious inhabitants. He suppressed the revolt by May the next year. In 1252 the Gason leaders traveled to England to put their case against de Montfort in front of the king. Simon resigned his post and returned to England. On his return he allied himself with a group of barons who opposed Henry III. Simon was a man ahead of his time, if you have never read about him, look him up. He became convinced that Henry was ill fit to govern. By 1258 he and the rebel barons had forced Henry to sign a the Provisions of Oxford, which were akin to a constitution. The rebel barons were suspicious of all 'foreigners' in places of power and removed several Frenchmen who held English castles. Mathias was allowed to keep his job as constable of the castle in Gloucestershire. However, one of the provisions resulted in previously protected friends of the king being prosecuted for past offenses. Hugh Bigod, the new chief Justiciar, sent up a special eyre (travelling circuit court) to investigate national grievances. Mathias was hauled before the court to answer to a complaint made by Clement of Sherston who claimed that Mathias had deprived him of some land. Mathias countered that Clement was not a freeman, but rather his serf or villein. The jury agreed with Clement and sentenced Mathias to prison. It is not clear if he actually went to prison or just paid a fine to avoid it. In 1263 the rebels took their revenge. After arresting the Bishop of Hereford, a 'foreigner,' they marched on Gloucester castle. The rebels were led by Sir John Gifford. Mathias has only a small garrison, but they put up a stout defense. The rebels were able to break down the walls of the prison and the prisoners were able to assist the rebels with the seige. Mathias retreated to a tower but was eventually captured. He was praised for his bravery by the rebels. Mathias and the Bishop were eventually released, but not before his property at Sherston was looted. These acts were recorded by Robert of Gloucester and can be read about in his Metrical Chronicle, but be sure to get the translation as 13th century English is pure gibberish to the masses, which includes myself. In1264 the revolt turned to full scale war. 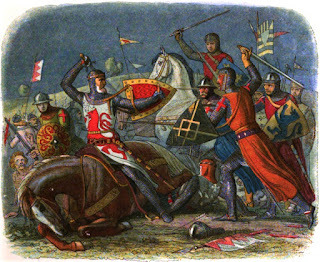 At the battle of Lewes, on 12 May 1264, rebel forces capture the King and his heir Edward. Simon became the de facto leader of England. He is best known for calling the first parliament that included the average guy and not just nobility and clerics. His time in power was brief, but left a significant impact on England. Historians believe that Mathias was part of the royal garrison at Windsor Castle and not at Lewes. 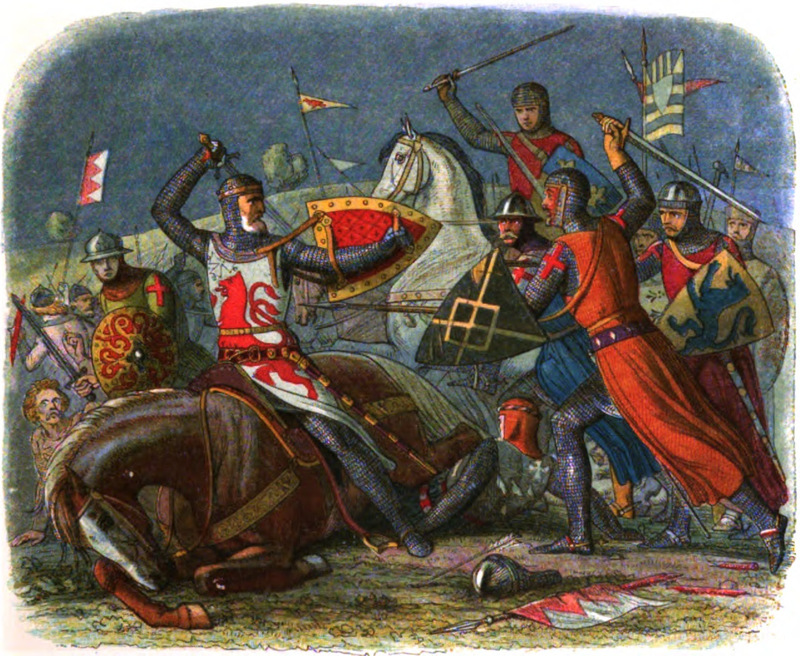 In 1265 the two sides met at the Battle of Evesham; Simon de Montfort was killed and the rebels quickly lost stem and made their terms with the king. The aftermath of every medieval conflict resulted in rewards and retributions. Mathias took advantage of his close and loyal relationship to the king and queen to take over lands belonging to rebel lords. In 1265 Mathias was appointed as constable of the castle of Dover and keeper of the ports of Dover and Sandwich. This was a sign of the great trust the king and Prince Edward had for him. Mathias died in 1268. His heir was his son John who was 23 years old. 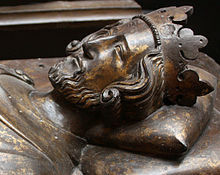 King Henry III died a few years later in 1272. His son who became King Edward I, would be a powerful leader and at least internally, England would be a more peaceful place during his reign. 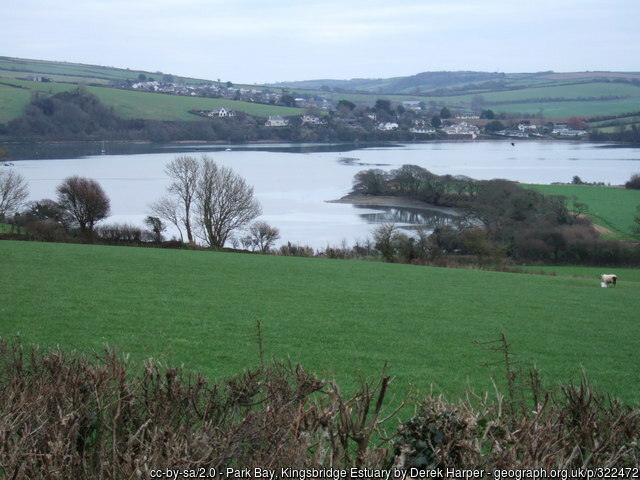 On Christmas Day, John swore homage to King Henry and in return was given his father's lands that had been held from the king as tenant in chief. 25 Dec. Winchester. Concerning homage and relief. The king has taken the homage of John de Bezyll son and heir of Mathias de Bezill lately deceased for all the lands and tenements that the aforementioned Mathias his father held of the king in chief on the day he died, and he has rendered those lands and tenements to him. Order to John le Moyne, escheator this side of the Trent, that having accepted security from the aforementioned John for his rendering reasonable relief at the Exchequer, to cause the same John to have full seisin without delay of all the aforesaid lands and tenements of which the aforesaid Mathias was seised in his demesne as of fee on the day he died in his bailiwick and which were taken into the king’s hand by reason of his death. There is no original research in this blog article. The article by Michael Ray, found on the website The Fine Rolls of Henry III provide most of the sources used. That being said this was quite a challenging article to write as I searched out each of his sources to see them for myself. In one or two instances his sources were the original Latin writings and I had to look for the translated versions. This was especially true for the Flores Historiarum by Matthew Paris. The process has been a valuable lesson in medieval history and in locating sources from that period. My ancestry descends, not from John Mathias' heir, but from his second son and namesake Matthew. 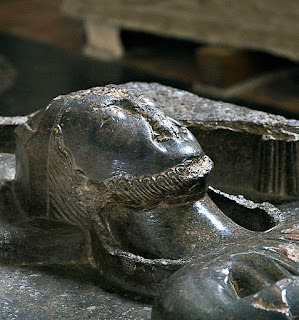 "Henry III, 1216-1272," English Monarchs (https://www.englishmonarchs.co.uk : accessed 11 June 2016). Etienne Robo, "Pierre des Roches, Bishop of Winchester (1204-1238)", The Tablet (archive.thetable,co.uk : accessed 11 June 2016). David Carpenter, Magna Carta, (Penguin Books, 2015). The Editors of the Encyclopaedia Britannica, "Hubert de Burgh," Encyclopaedia Britannica (http://www.britannica.com/biography/Hubert-de-Burgh-English-justiciar : accessed 11 June 2016). Michael Ray, "Mathias Bezill, The Unpopular Alien?,"
 "The Bessilles Family of Gloucestershire," Miscellanea Genealogica et Heraldica and the British Archivist, vol. 5 (London: Mitchell, Hughes and Clark, 1923-1925) Archive (https://www.archive.org : accessed 14 June 2016). Eleanor M. Searle, "Women and Marriage in Medieval Society," Science and Engineering (April 1981). N. Vincent, Peter des Roches; An alien in English Politics 1205-1238 (Cambridge, 1996), p.330. Great Britain Public Record Office, Calendar of the Charter Rolls preserved in the Public Records, vol. I, Henry III 1226-1257, (London: MacCay and Co., 1908). Great Britain. Public Record Office, Calendar of the Liberate Rolls Preserved In the Public Record Office, vol 3, Henry III 1245-1251, ( London: 1916) 265, Hathi Trust (https://catalog.hathitrust.org/Record/000309469/Home : accessed 14 June 2016). Great Britain. Public Record Office, Patent Rolls of the Reign of Henry III:1258-1266, (London: Mackie and co. ld., 1910) 162, Hathi Trust (https://babel.hathitrust.org/cgi/pt?id=mdp.39015031081048;view=1up;seq=172 : accessed 18 June 2016). Matthew Paris, The Flowers of History, (London: H. G. Gohn, 1853) 405, Archives (https://archive.org/stream/flowershistorye01parigoog#page/n416/mode/2up : accessed 18 June 2016). Matthew Paris, The Flowers of History, (London: H. G. Gohn, 1853) 409, Archives (https://archive.org/stream/flowershistorye01parigoog#page/n416/mode/2up : accessed 18 June 2016). Antonia Gransden, Historical Writings in England c. 500 to c. 1307, (London; Routledge, 1996) 384.